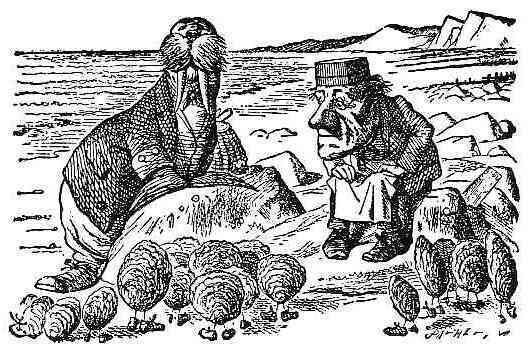 It wasn’t in iambic pentameter, but Graham Steele’s CBC commentary on an imaginary conversation between Nova Scotia Finance Minister Diana Whalen and staffers that took place ahead of the provincial financial update is hopefully as fictitious as Lewis Carroll’s writing.. The Walrus and Carpenter of Darrell Dexter and Rick Clarke were mercifully absent but Mr. Steele’s fiction was still somewhat discomforting. In spite of our partisan leanings, I like Graham Steele. In radio interviews with him on matters of public finance, I’ve found him thoughtful and reasonably frank but this recent missive leaves me with a sense he’s…well, feeling a little bitter. Perhaps if we read between the lines, we can surmise one of the reasons Steele decided to extricate himself from the NDP prior to the recent election. It might be a stretch, but it certainly feels revealing. Political aides are the target of his piece, characterizing them as witless, meddling politicos leveraging their positions to steer public policy disingenuously away from the greater good and toward partisan advantage. Communications personnel, if they are very good, advise well. However, we elect officials to weigh that advice. Politicians, at least theoretically, are there to reflect the wishes of their constituents and make sound, tough decisions based on their experience, knowledge and political savvy. For Steele to insinuate that some communications flack in the Minister’s office is driving our fiscal agenda has the disturbing connotation that he saw that level of influence while he was at the helm of our provincial treasury. If that is true, one might draw some insight into why he decided to bail out of public life and start writing for the CBC. My experience as a federal political staffer was quite different. As an example, I remember a conversation I had with Stephen Harper while I was doing communications work when he was leader of the Official Opposition. This particular day I was creating what are known as 10 percenters. Those are the annoying bits of publicly funded, black and white ad mail you get from your MP outlining how great their party is doing in Parliament and asking you to tell them if you think their party is “going in the right direction”. They are actually a vehicle for you to fill in your name, address, postal code and email to be entered into a database used for voter identification during an election. Your opinions on matters of public policy categorize you as either sympathetic or unsympathetic to the party’s position on some given issue. Oh yeah, and they want your opinion. In a brief meeting with Harper, I suggested a couple of lines we might use on some issue or another. As someone who has spent the better part of my life in media and communications, I felt confident that I had come up with a catchy line that would capture our position on the policy in question. I had crafted some nifty quote that would be attributed to him, then the Leader of the Official Opposition. Instead Mr. Harper offered, “Jordi, if it comes out of my mouth, feel free to use it.” It’s one of the reason’s I’ve supported him as federal leader for the past decade. I don’t always agree with the Stephen Harper on all policy nor political approach but I do have confidence what I am hearing on points of public policy emanates from his thinking, the thinking of cabinet and/or the senior bureaucracy, not that of some communications flack. It may also explain why the job of Director of Communications at the PMO presents, unique.”challenges”. Leader’s must lead. Love ’em or hate ’em, Ministers are responsible for their decisions. As Mr. Steele rightly states, the decisions being made are complex, need deep thought and should be made with the understanding there is a level of personal accountability. “Yes, I suppose that is politics,” admits the minister. Hmmm. Sounds surprisingly like a mantra repeated by the Dexter government from 2009 to 2013. I’m not naive enough to think that partisan politics and political staffers don’t play a role in decisions, but to accept that a Finance Minister would feel it necessary to cave into an agenda created by those writing press releases or a Premier’s Office functionary is deeply concerning. If this is in fact drawn from Mr. Steele’s experience as Minister of Finance, it’s no wonder he lost his taste for public life. It’s also no wonder why the NDP are no longer in power. As I heard the NDP nash their teeth that it was unfair that the Grits were shifting bills to make it appear like the financial woes this year were more their fault than the current government, I couldn’t help but reflect on the NDP’s decision to cut checks to the universities in their first year instead of over the first three so their budget deficit looked like it was the Tories fault. Now the shoe is on the other foot, it is time for them to wear it. I find it very discouraging to think that Graham, the obvious smartest man in any NDP room, allowed himself to be led by the nose by a bunch of mealy-mouthed halfwits. While Lewis Carroll was a pen name, the writer was not fictious. I assume you meant communications personnel, not “personal”. Those nit-picks aside, what is most dsturbing about Mr. Steele’s defence and Ms. Whalen’s offence is the assumption, from wherever it arose, that the general public is too stupid to understand the complexity of the budget and they consistently underestimate just how jaded the populace is when it comes to being manipulated. Thanks for the response Debbie. I’ve made the necessarily changes to clarify It’s helpful to have crowd sourced editors. The underbelly of a very dark place comes to light with this. We are indeed being led off a cliff by bureaucrats. The Mantra of “if we repeat it enough the public will believe it” points to a mental illness in the public service as a singular body. The group of people that will ultimately wrestle control back are the souls foolish enough to stay in this province. Those poor people will be forced by the provinces creditors who will so no more ALA Germany to Greece , Spain , Ireland and Portugal.